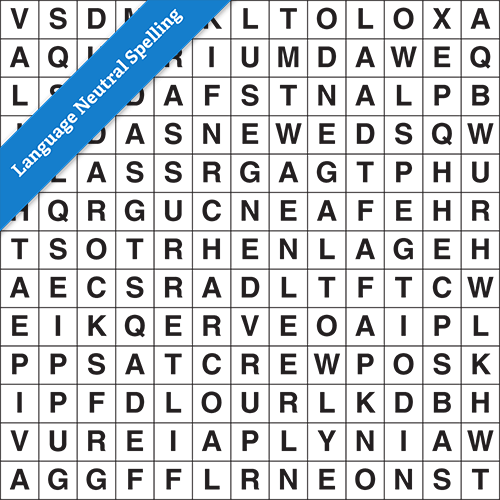 13x13 grid with word list containing language-neutral words (can be used in both British English and American English spelling zones). 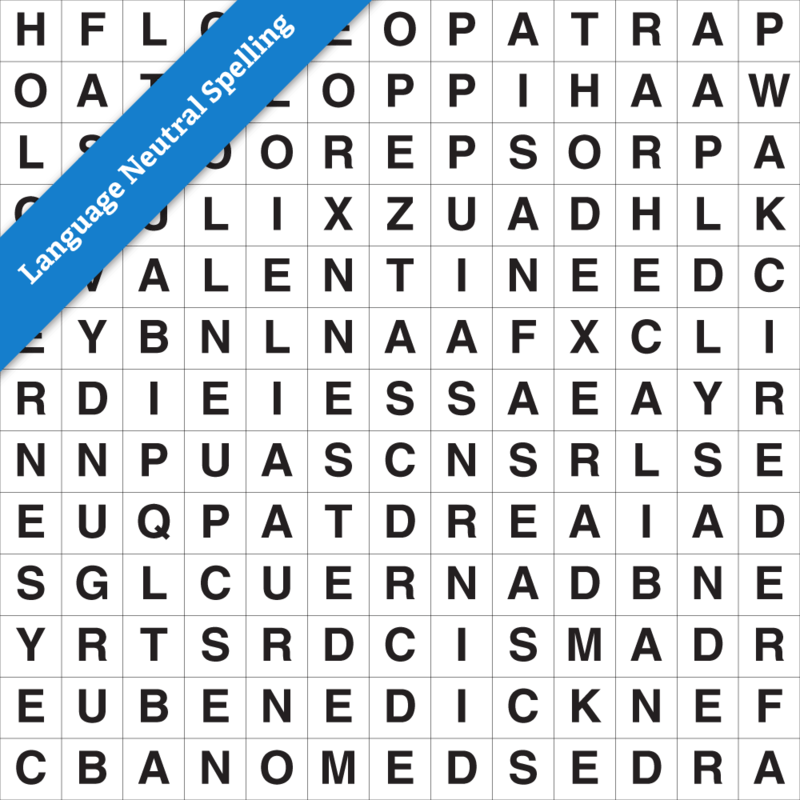 Find all the words listed hidden in the grid of letters. They can be found in straight lines up, down, forwards, backwards or even diagonally.